It is a common trend to see most of the modern devices are getting inspiration from the other gadgets which have already made a lot of buzz in the market. 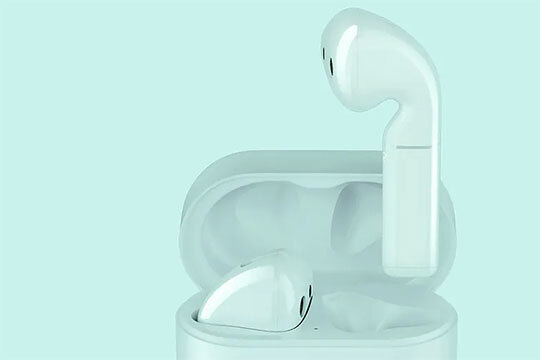 No wonder, you will find the design of HUAWEI Honor FlyPods CM in similar lines with that of Apple AirPods. 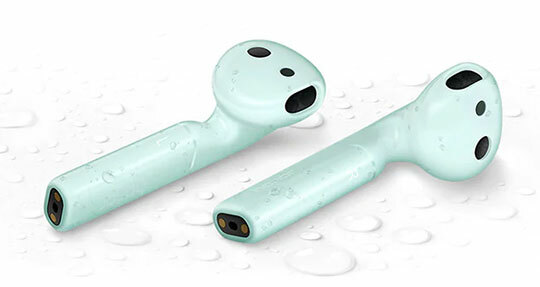 Though they look very identical at the first glance, after careful look you can notice several differences between these two earphones. HUAWEI Honor FlyPods CM got the dimensions of 1.69 x 1.91 x 0.65 inches and it only weighs 0.0040 kg. The developers of this device have really pushed all the limits to offer it a highly sophisticated yet classy look. These earphones will be recognized for their extremely sleek appearance and you can easily match them with your range of outfits. Recommended for you: Teclast F7 Plus Notebook / Ultrabook Feature Review. HUAWEI Honor FlyPods CM – H2S Bluetooth Earphones feature touch control interface which very few devices offer in the similar price range. 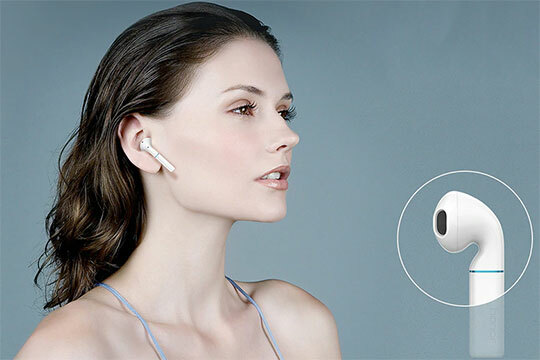 You can tap this earphone with fingers to get complete control of its unique functionality. The finger touch control lets you answer calls, switch on voice assistant and control volume with utmost ease. All this allows you to get a memorable experience of listening to music which you haven’t felt before in your entire life. The earphones are really standing out in the competition because of its uninterrupted and smooth audio experience. HUAWEI Honor FlyPods CM can be easily paired using Bluetooth to your Smartphone. The Bluetooth 5.0 functionality not only facilitates quick audio transfer but it also consumes minimal power while in the use. The whole pairing process is extremely simple and even if you don’t have much technical knowledge, it will not take more than 30 seconds for you to complete the procedure. When you keep the device in the charging case and close it, the Bluetooth connection is automatically disconnected which avoids unnecessary draining of batteries. When you take earphones out of the case, the connection is reestablished and you can start listening to all your favorite tracks once again. HUAWEI Honor FlyPods CM – H2S Bluetooth Earphones come with a built-in battery of 25mAh which offers approximately 3 hours of usage time. If you want to use it for longer sessions then there is hardly any reason to worry as this earphone come with its own wireless charging case. It has got a battery of 420mAh that can deliver you play time of more than 20 hours. What it means that you can listen to your favorite music for an entire day without any risk of running out of battery. The charging case also comes with USB-C interface that lets you charge it using a laptop. These earphones can resist dust and water, which makes them an ideal device to use outdoor. They are extremely durable and you can try them in different weather conditions. 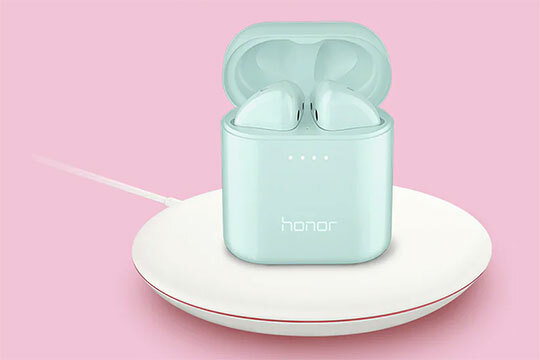 Currently, HUAWEI Honor FlyPods CM – H2S Bluetooth Earphones are offered in three colors – red, coral blue and white. Each color has got its own appeal and you can choose one that will fit your requirement. This device also allows you to do double click operation and it features call noise reduction technology that enhances the call performance significantly. If you are searching for versatile Bluetooth earphones that can offer you extraordinary sound quality along with high comfort then you must go for HUAWEI Honor FlyPods CM. At a price of $115, it is hard to get such a high-performance oriented device. It has got a lot of positives and there is hardly anything that you can talk bad about these earphones. No wonder why it has become one of the most sought-after earphones in the market in such a less period of time. Offer: For a limited time of period you can grab this earphone at a discounted price of $109.99 from GearBest. Please use the coupon code “GBEARPHCP05” in the time of your purchase. 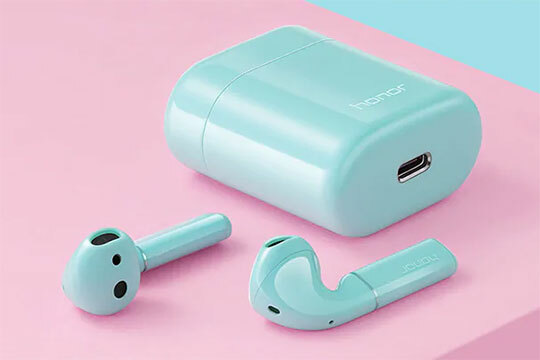 If you are searching for versatile Bluetooth earphones that can offer you extraordinary sound quality along with high comfort then you must go for HUAWEI Honor FlyPods CM. At a price of $115, it is hard to get such a high-performance oriented device.